Dr. Hughes was born and raised in Tulsa, Ok. He was an avid athlete his whole life and was always fascinated with the bodies ability to do things. 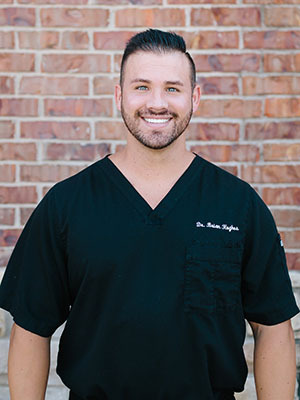 So after High School he attended the University of Central Oklahoma right here in Edmond, OK. During his undergraduate studies in Biology, he worked as a certified personal trainer in helping many people reach their health and fitness goals. As his desire to help people grew he discovered Chiropractic, and that it was truly the only way to live a healthy life. It was then when he decided to become a Chiropractor to further fulfill his mission to help others. After his undergraduate studies Dr. Hughes attended Parker University in Dallas, TX where he received his Doctorate of Chiropractic Degree (D.C.). While attending Parker University he was trained extensively in spinal and extremity adjusting, Infant and Pediatrics, and specialized performance training. Dr. Hughes treats families and children of all ages, beginner athletes to professional athletes, and a variety of conditions. Dr. Hughes takes a hands on approach to total body wellness. He wants to help people feel better, function better, and to have the quality of life everyone deserves. Yours In Health, Dr. Brian Hughes D.C.